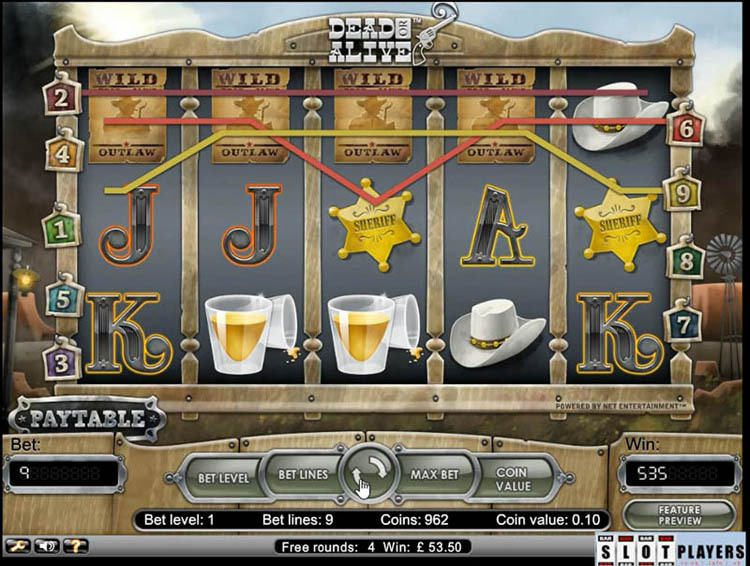 It was time for some more Netent slot Dead or Alive game play. 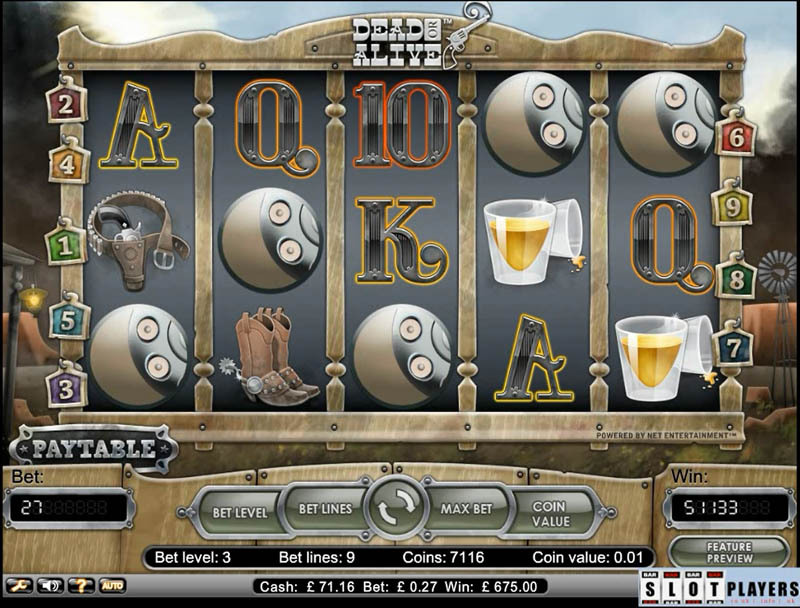 The second session was at a new casino, namely Bet-at-Home. The reason for a deposit as this new casino was a 100% deposit match that was needed because the game has been very unkind for me. It has been a while since a significant win and the more funds the better. The session lasted a total of 1,683 spins with 6 bonus rounds, or one every 280 spins on average which is very poor. The RTP was also a disappointing 78%. Whilst that is never a reason not to play at a casino (the spin result is generated from the Netent server after all), the lag of the play certainly does. Really slow spinning wheels with a couple of disconnects too. We are now on 25,310 spins and 154 bonus rounds since the last wild line win. How many more before the next one? Two different sessions played at Videoslots casino and what a difference they made. The first session lasted just the 1,542 spins on a mixture of £0.45 and £0.27 bets. There were just the 4 bonus rounds (once every 385 spins on average!) that paid a paltry 10x bet size on average with the highest of them paying just the 17x stake. There were plenty of picture win lines during normal play but these didn’t help the RTP which was a very poor 69.3% (£488.34 wagered in total). After that session a total of 16,047 spins and 101 bonus rounds were played since the last 5 wild line win. Thinking that things could only get better, another similar deposit was made. Basic maths tells us that it now has been 21,749 spins and 139 bonus rounds since the last wild line win. Some cashback and money from the race at Videoslots will be used next week to test whether this is enough for the slot to give again big time. Over the past 4 days or so, a total of 3 further sessions were played on the Netent slot Dead or Alive both at Videoslots and Unibet casino. On Monday morning £18 dropped into my Videoslots account owing to monies earned during the weekly race. 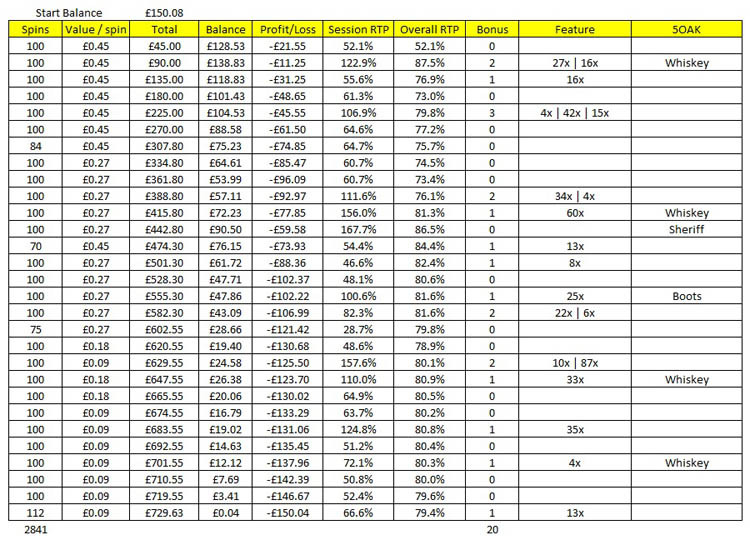 The £18 lasted a very reasonable 1,710 spins returning a very respectable 88.8% RTP. 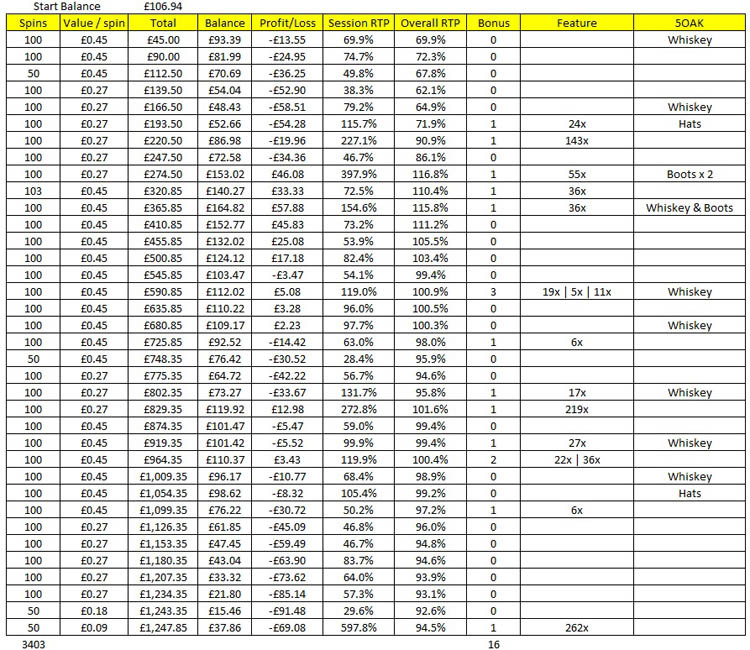 A total of 9 bonus rounds, or once every 190 spins on average, paid an average of 32x bet. Need to rack the number of bonus rounds up again for the next win so will be making a bigger than usual deposit later today to play through for a few hours. Dead or Alive – another mega win! Well would you believe it (as Victor Meldrew would say), the Netent slot Dead or Alive is being very kind to me today. Some 2,000 or so spins after the 5 scatter win that paid 2,500x stake, a wild line dropped in during a bonus round whilst playing at £0.09 a spin at Unibet casino. Fancy your luck playing at Unibet? The 5 scatter win paying 2,500x bet. The subsequent spins paid an extra 5x bet. Thankfully the decision, as made in the previous post, of depositing £150 was a good one. Unfortunately the bet was not at £0.45 because I only dropped it to £0.27 a few 100 spins earlier because the slot wasn’t paying that well.